There is no question, reducing ‘binge drinking’ among college students can save lives. Many young adults heading off to college are unaware of the risks associated with binge drinking, and when those risks include death, the need for curbing the practice becomes a public health concern. New research indicates that while educating college students on the dangers of binge drinking can be useful in lowering heavy drinking levels, counseling only has a temporary effect, Science Daily reports. The researchers found that, a year later, three out of four students will be back where they started. The use of alcohol among college students leads to a host of problems. Every year, 1,825 students lose their life to alcohol-related unintentional injuries, according to the National Institute on Alcohol Abuse and Alcoholism (NIAAA). Alcohol is involved in more than 690,000 college student physical assaults and more than 97,000 students are victims of alcohol-related sexual assault, the NIAAA reports. 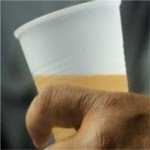 The goal of the new study was to determine which students were best served by alcohol education. The researchers involved in the yearlong study of 1,040 college students, found that men who play drinking games were the least concerned about their drinking, and least apt to respond to any short-term counseling efforts, according to the article. "This research will help other colleges and universities better understand who is least and best served by standard student alcohol interventions," said the study's lead author, James Henson, PhD, a psychology professor at Old Dominion University. "Brief prevention efforts can be effective but may require colleges to implement intervention boosters to maintain these effects." The research was published in the American Psychological Association’s Journal of Consulting and Clinical Psychology.